Ehud Gelblum, an analyst from Morgan Stanley, has made a bold prediction that Microsoft’s mobile market share will triple within the next 2 years. Despite the upcoming launch of the new Windows Phone 7 operating system, many people don’t believe Microsoft can survive against the likes of other mobile giants such as Android and iOS. As they stand now, their market share checks in at less than 5 percent. Gelblum predicts that by 2012, Microsoft will control 15 percent of the mobile phone market share. That would put them back in fierce competition with the other smartphone’s that already enjoy a serious amount of market share. How does Gelblum believe they are going to accomplish this? They can do this with money, and lots of it. Microsoft has 36.8 Billion sitting in the banks. That money could easily allow Microsoft to subsidize the costs of their phones further than the others dream, and essential buy their way into a higher market share percentile. His predictions for 2012 don’t stop there. Despite the rise to 15 percent market share, he still expects Google and Apple to be far ahead with their respective operating systems, while Nokia and RIM will hang back in the same vicinity as Microsoft. So what do you think about these predictions, are they bold? Do you think Microsoft could climb up the market share ladder in the next couple of years by essentially buying their way in? Or are the ultimately doing too little too late with Windows Phone 7? Leave us your thoughts and opinions in the comments below. if windows 7 is a quality product, they wont need to subsidize their phones. Of course, it could help initial sales. But the biggest thing is just making sure it works.. and works quite well, and stock that app store full of quality and fun apps. they would be smarter to have an apple style marketing blitz on some top end phones for the carriers and get the word out, more than anything else. 15%? 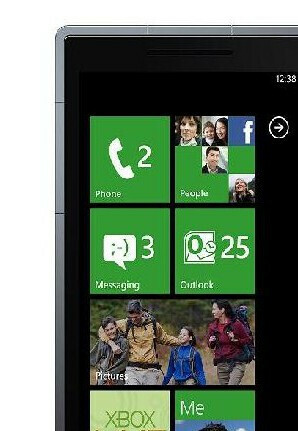 If wp7 is a well designed product, then yea i can easily see that.